The more you learn about your specific dental needs, the more accurate your price estimate will be. Although the complexity of the entire process increases as your needs become better understood, the end result is that with more clarity comes more opportunity for financial assistance through either insurance or financing opportunities. What Does The Cost Of Dental Implants Depend On? The overall cost of your dental implant procedure will ultimately depend on how many implants you are currently in the market for and what your current starting position is. A great way to use your first visit with Dr. Chun would be to come in and get a complete evaluation on your current dental situation. Doing so will not only begin a long-term relationship with Dr. Chun and a team of amazing dental experts, but also allow us to see if you’re a good candidate for dental implants as well as discussing any financial opportunities that are available to you. A quick-and-easy checklist you can use to get a good idea if you’re a good candidate for dental implants can be found here. If you’d like to meet our team and see if you’re a good candidate for dental implants, feel free to come visit us by following our driving directions here. A solid summary of the entire dental implant process from the patient’s perspective can be found here. Single implants without the restorative crown can range in cost from $1800-$3500, but circumstances can drive it higher. Full-mouth Reconstructive Dental Implants can run from $24,000-$75,000, but circumstances can drive that higher as well. The length of the entire process depends once again on your unique situation. If immediate replacement of an extracted tooth is done, then the process takes under an hour. But if other procedures such as jaw surgery and bone grafting is needed, then the process can take up to 6 months for completion. Because there is usually some preparatory work that needs to be done, the average treatment usually ranges from 3-6 months. Most of the time is a waiting period in which the jaw bone heals and fuses with the implants, which is a completely pain-free and hands-free process. The healing and fusion takes place without the maintenance or conscious awareness of the patient. While bridges and dentures are less expensive at the outset, you should consider that both options have sometimes considerable continuing expenses. Bridges, by their structure, cut down the neighboring abutment teeth – which can lead to weakness and repeated treatments. Dentures cannot preserve the jaw bone the way dental implants can, so the jaw shrinks as the bone is reabsorbed. Leading to ill-fitting dentures that require repeated rounds of re-fitting and replacing. Dental implant prosthesis also need maintenance over time to keep them optimally functional which will also have costs, albeit usually smaller. 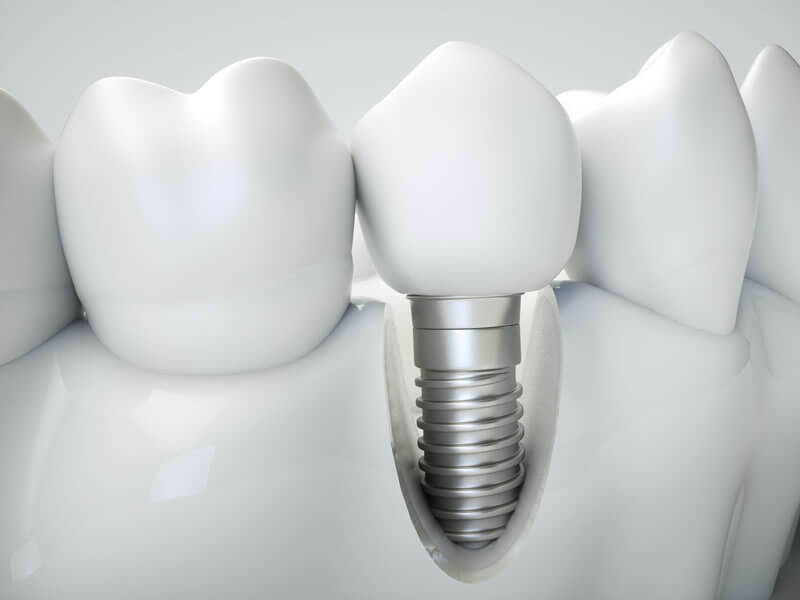 However, over a lifetime, dental implants paired with the right prosthetic design can be cost-effective as well as a more functional and aesthetic choice. 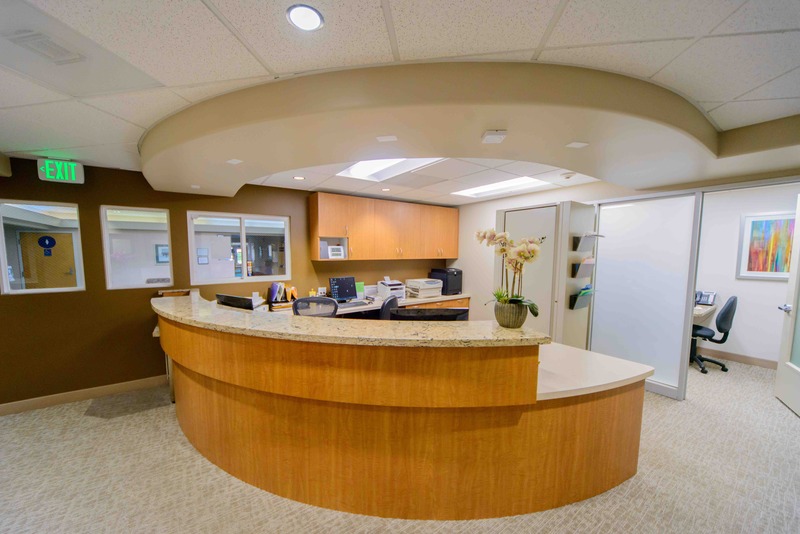 If you’d like to discuss your individual options regarding dental implants, please don’t hesitate to contact Dr. Chun and his team at (925) 833-8516.